Amazon knows drones are the future of package delivery. It is bulking up on resources and technology to emerge as one of the most prominent stakeholders in the delivery ecosystem, once its operations are kicked off. With regards to the same, Amazon has bagged a fresh patent, which as you can see above, looks pretty damn fantastic and futuristic. Yes, I’d like to enthusiastically shout this out — Amazon is building HUGE beehive-like delivery drone towers. According to a patent application filed with the US Patent and Trademark Office, which was published yesterday, Amazon describes that it wants to build humongous & multi-level towers to house its inventory and unmanned delivery drones. It further adds that the said fulfillment centers will be established in densely populated areas, which requires an extensive last-mile delivery force. A multi-level (ML) fulfillment center is designed to accommodate landing and takeoff of unmanned aerial vehicles (UAVs), possibly in an urban setting, such as in a densely populated area. Unlike traditional fulfillment centers, the ML fulfillment centers may include many levels (i.e., stories, floors, etc.) as permitted under zoning regulations for respective areas. The fulfillment center may have one or more landing locations and one or more deployment locations to accommodate UAVs, which may delivery at least some of the items from the fulfillment center to locations associated with customers. The e-commerce giant is planning to make the shift away from its traditional fulfillment centers because they have been established on the outskirts of the city because they required huge floor space. The multi-story delivery drone centers, on the other hand, could be built within the confines of the city. One can keep adding on vertical floors in a limited horizontal space to scale up operations. It will also be able to house delivery trucks in the basement, along with workers who’ll load the drones for delivery. Amazon Chief Executive Jeff Bezos is fully-aware of the fact that drone deliveries would be the future and he isn’t far from the bull’s eye. 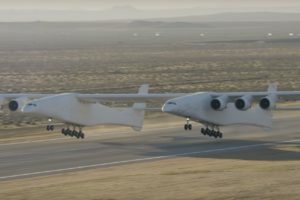 Even the Federal Aviation Administration (FAA), who’s previously been opposed to the idea multiple drones floating around us simultaneously, seems to be getting on board with this last-mile delivery alternative. According to a Bloomberg report, the FAA has put forth a reauthorization proposal for legalizing the delivery of packages via drones or unmanned aerial vehicles (UAV). It is also coordinating with the Department of Transportation to develop a carrier certificate to approve the functioning of delivery drones. If this proposal secures legalization then Amazon will most likely be the most significant benefactor of the same. If this proposal secures legalization then Amazon (followed by Google) will probably be the most significant benefactor of the same. The e-commerce giant has been conducting pilot tests, building on-ground infrastructure, and securing crazy futuristic patents just like this one.